This article, courtesy of NPR, illustrates the dangers of overnight contact lenses cause damage. 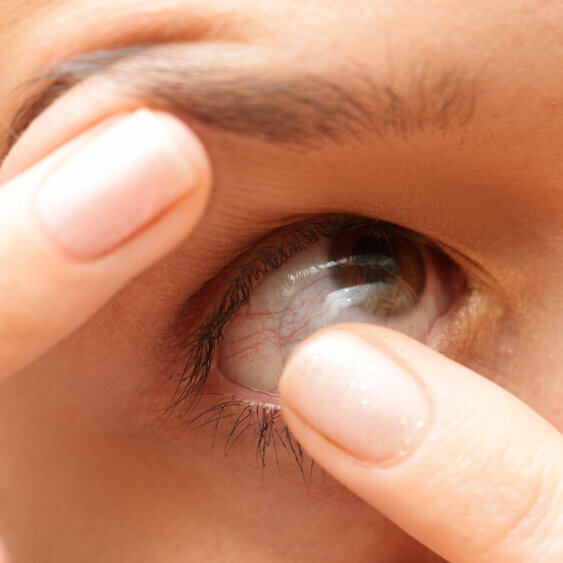 The contact lens risk is highest in these patients. Contact lenses are simple and convenient, but also medical devices. 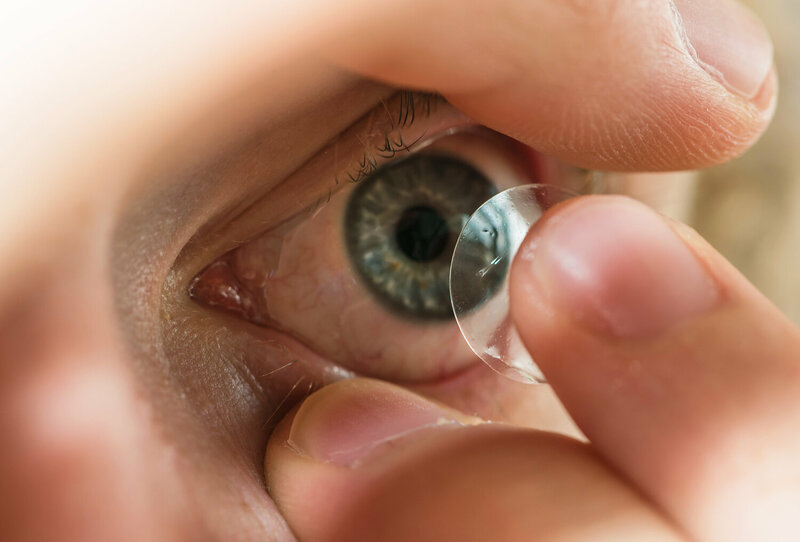 Contact lenses are so ubiquitous — about 41 million people in the U.S. wear them — that it's easy to forget that they're actual medical devices, with small but real medical risks. An analysis published Thursday by the Centers for Disease Control and Prevention examined 1,075 reports of corneal infections related to contact lens use from the Food and Drug Administration's Medical Device Report database over a decade. To be sure, these were likely the worst of the worst of these types of infection and can't be considered representative of contact lens infections overall. But of those reports, almost 20 percent described a patient with injuries resulting in decreased vision or a corneal scar, or requiring a corneal transplant. The study was published in Morbidity and Mortality Weekly Report. And the risk factors for these serious cases of keratitis — med-speak for inflammation of the cornea — are the same as for more common, less serious cases, says Thomas Steinemann, a clinical spokesman for the American Academy of Ophthalmology and practicing ophthalmologist at MetroHealth Medical Center in Cleveland. Corneal infections prompt about 1 million clinic and ER visits a year, and contact lens use is the top risk factor, he says. One big mistake: sleeping in your lenses, which was associated with infection in 7 percent of the reports.Previous research shows that overnight wear increases the risk for contacts-related infections by more than six-fold. "I advise patients not to sleep in them, regardless of whether or not a lens is approved for extended or continuous wear," says Steinemann. Not throwing them out when you're supposed to is another risk factor and was associated with 8 percent of the reported infections. Then there are the cleaning mistakes, such as using tap water instead of disinfectant solution, or reusing the previous day's solution. "Many people get busy, look in the lens case and think, 'Oh, there's still some solution in there,' " says Steinemann. But using old solution is "a terrible idea," he says, because it loses potency and can get contaminated with germs. Dump out the old solution, clean out the case with a little extra solution, and let it air dry before using again, he says. Previous research has suggested that only about 2 percent of contact lens wearers follow the rules for safe contact lens use. Other no-nos are showering and swimming with your lenses in and hanging on to your storage case for too long. Also, it should be obvious that contacts should be acquired through the proper medical channels. But in 1.5 percent of the reports, the lenses were bought from "an unapproved source such as a flea market or costume shop." "Used properly, [contacts are] a very, very successful and safe method of correcting vision, says Steinemann. "But [they are] not without responsibility."